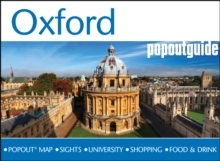 Discover Oxford with this handy, pocket-size guide. 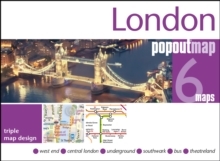 Ideal to pop in a pocket or bag for quick reference while exploring this gorgeous city. Slap bang in the middle of England, Oxford is a city of enviable fortune: stunning architecture, abundant gardens and riverways, academic excellence and cultural richness. Whether you re visiting for the sightseeing or the shopping, the cuisine or the nightlife this Oxford travel guide is the perfect guide for your short break. Combining destination expertise with an award-winning pop-up map, this handy city guide will provide all the information you need to get the most out of your trip. 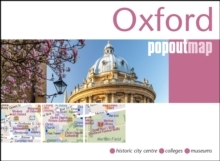 The handy Oxford pocket-size guide includes a detailed PopOut city centre map and a 32 page full colour illustrated travel guide. 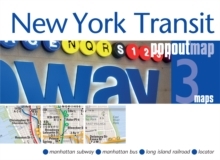 The guide is then divided in to 5 chapters: see it - the best places to see from museums & cathedrals to markets, monuments and much morebuy it - pinpoints the key shopping areas and stores to targetwatch it - places to be entertained: shows, theatres, music venues, ballet, comedy, cinema and nightlifetaste it - from ethnic cuisine to local fare to the top places for an evening cocktail; all the best places to eat and drinkknow it - all the practical information you need to get the best out of your trip Packed with advice and information, this handy pocket size Oxford travel guide will help you get the most out of your trip.